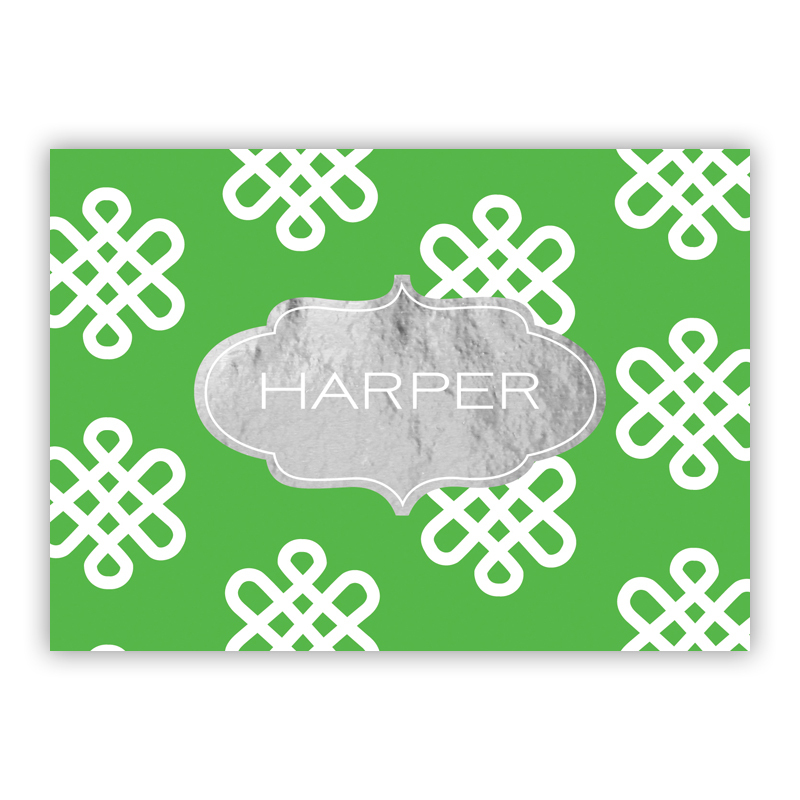 Clementine Foil stylish folded note cards are great for any correspondence needs. Colored envelopes are included and you may add an envelope liner and return address printing. Customize the text and pick your font and colors. Sold in sets of 25. Colored envelopes included! You may pick an envelope color other than white if you wish. However, please review the colors and their limitations as some colors are difficult to print on and some do not allow return address printing. You may add envelope liners and return address printing for an additional fee, see dropdown menus below for pricing. Due to disparities on devices, colors may vary from the samples shown. NOTE: If you see a * or ! In a dropdown list below, please review the color/style sheet for more information. Envelope Color persimmon fuchsia papaya poppy coral blossom paper bag clover chartreuse mint peacock white gold! slate*! beet*! night*! chocolate*! black*!